Among all the variations of the Porsche 356, there are few as rare or interesting as the Carrera models. From the beginning of the line, Carrera indicated a special racing model that offered high performance and a host of mechanical differences from the standard run of factory cars. The ambitious Porsche Carrera engine was first introduced in 1954, just six years into overall Porsche production. Called the Type 547, the engine displaced 1498 cc and utilized a racing-style dry sump lubrication system. The engine was a typical Porsche flat-opposed four-cylinder design, but its most notable and celebrated features were the four gear-driven overhead cams (two per cylinder bank), which boosted power to 110 DIN horsepower and 88 DIN pound-feet of torque, much higher than a standard Porsche. The first Carrera engines were placed exclusively in Porsche 550 Spyder racing cars, but with the advent of the refreshed 356A line in 1956, Porsche made the Carrera package an option for road-going 356 Coupe, Cabriolet and Speedster buyers. The first 356 Carrera was designated as a 1956 356A GT, and included the Carrera engine, improved oversize brakes borrowed from the Spyder, a free-flowing track exhaust, an oversized 21-gallon fuel tank, and alternate torsion bars that lowered the car slightly. The Carrera model was specifically designed for track use, leaving out the standard heater, door panels, and sound-deadening materials. 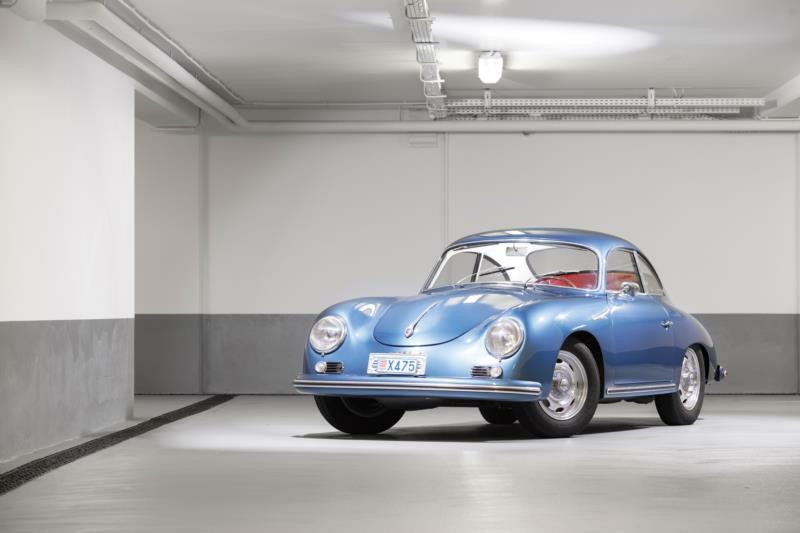 Windows were plastic rather than glass, and all that weight reduction made the Carrera the lightest 356 available, at 1,945 pounds for the Coupe and Cabriolet, and a lithe 1,745 pounds for the Speedster. The 1956 Porsche Carrera GT could do 0-60 in 8.7 seconds, and had a top speed over 125 mph. The cars sold for a hefty $5,665 for the coupe, $5,915 for the Cabriolet, and $5,215 for the Speedster. That was precisely $2,000 more than the standard versions of the 356. That price increase was of course huge, but so was the increase in the performance, and the buyer got a seriously advanced and exotic powerplant over the rear axle. In 1957, Porsche added the Carrera De Luxe to the mix, restoring the heater and glass side windows to the GT, along with the street-friendly exhaust. The De Luxe had slightly lower performance figures, at 100 DIN horsepower and 85 DIN pound-feet of torque. For 1958, the 356A received an update to the new T2 body style. With the new body, the Carrera GT was fitted with aluminum doors and both front and back hoods. The new lightweight hoods were louvered, and the front hood had a permanent opening for the fuel filler. The Carrera continued to receive special high-performance parts, including an upgraded transmission and steering assembly. 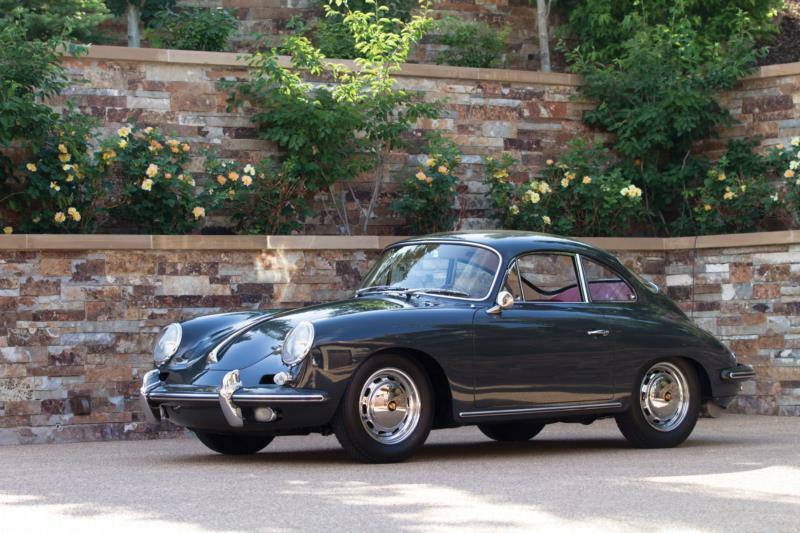 For 1959, Porsche upgraded the Carrera engine to 1587 cc and renamed the line to the 1600 GS-GT. The new engine delivered up to 115 DIN horsepower and up to 100 DIN pound-feet of torque in the GT version, and 105 DIN horsepower and 89 DIN pound-feet in the De Luxe model. The 356B with T5 body was introduced as a 1960 model year car in late 1959, and Porsche itself no longer offered the Carrera models. Buyers could still, however, go direct to coachbuilder Reutter and purchase lightweight bodies and four-cam 1587 cc engines. These were known as the 1600GS. The next Carrera offered by Porsche came in 1962 with the advent of the T6 body style shared with late 356B and the 356C models. The new car was called the Carrera 2 and featured a 1966 cc engine called the Type 578. This engine delivered 130 DIN hp and 116 DIN pound-feet of torque. The Carrera 2 was first offered with the same oversize four-wheel drum brakes as the Carrera always offered, but for the 1963 model year and the advent of the 356C, the entire line was upgraded to four-wheel disc brakes, although the Carrera used a different set of brakes than the rest of the line. 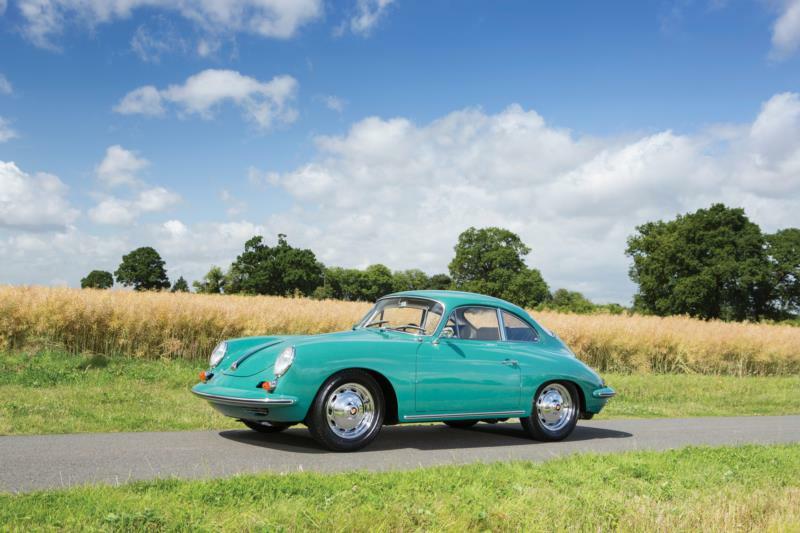 The Carrera 2 came in both De Luxe and GT versions through the end of the 356 line in 1965. Collectors are advised to carefully research provenance and condition. Porsche four-cam Carrera engines are notoriously expensive to repair, and the number of people who are truly qualified to work on them is very small. The relative rarity of other unique parts makes a Carrera restoration a bigger project than an already expensive basic Porsche 356 restoration. That being said, a verified 356 Carrera of any kind is among the gold standard cars of the collector world.